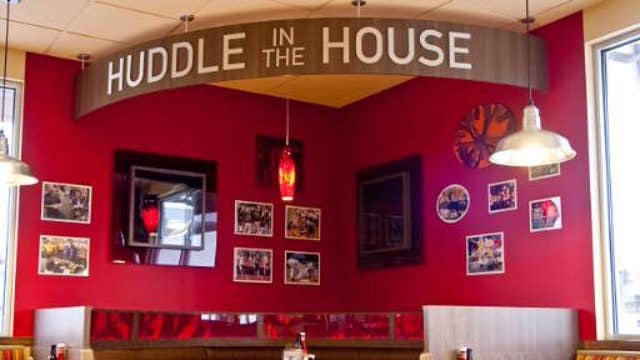 FBN’s Charles Payne on the success of restaurant chain Huddle House. In this Salute to American Success, we’re taking a look at Huddle House, a restaurant chain found mainly in the Southern United States. The company features many 24-hour diner-type restaurants, specializing in Southern-style dishes. It was founded in 1964 by restaurateur John Sparks. Today, the company has 357 franchise locations that are represented by about 165 franchise partners, with each partner owning an average of two locations, according to Abt. Huddle House itself has 10 company-operated locations. One of the biggest struggles the business faced was the Great Recession. Despite the brief bump in the road, Abt says the company has rebounded successfully, and is currently planning to open multiple locations in Virginia and one in New Jersey (which would become the northern-most location). Abt says part of the reason for the company’s continued growth is its extensive training program and support for each franchise opening. With an increasing amount of people following health-conscious diets and the healthy eating trend catching on at restaurants across the nation, the Huddle House CEO said he isn’t too concerned that it will impact the business. “We don’t ignore fact that people want or should eat healthy… but we know what Huddle House means to core customers, so we serve them what they want,” Abt said. Abt said anyone looking to open a business today should not only plan for the present, but for the future as well. The company, which was sold to a private firm in 1994, was most recently acquired by Sentinel Capital Partners in 2012.